Marlow Riders, the cycling club that organises the iconic Red Kite Ride, presented a cheque for £9,000 to Marlow Wheels for All, at its recent Annual General Meeting. Based at Bisham, Wheels for All is a charity that provides adapted bikes for children and adults, enabling those with, in some cases, severe disabilities to enjoy the freedom and exhilaration that comes from riding a bike. The Marlow Ride Kite Ride, an annual event taking place in September, is listed by Cycling Weekly as one of the top ten sportives near London. 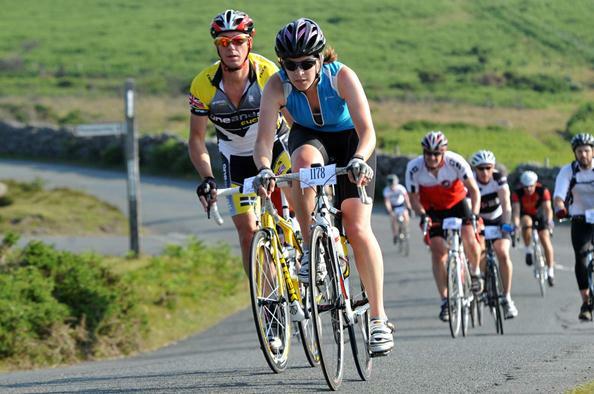 The ride which comprises three routes, 50, 80 and 100 miles, takes riders through the picturesque countryside of Buckinghamshire and Oxfordshire. 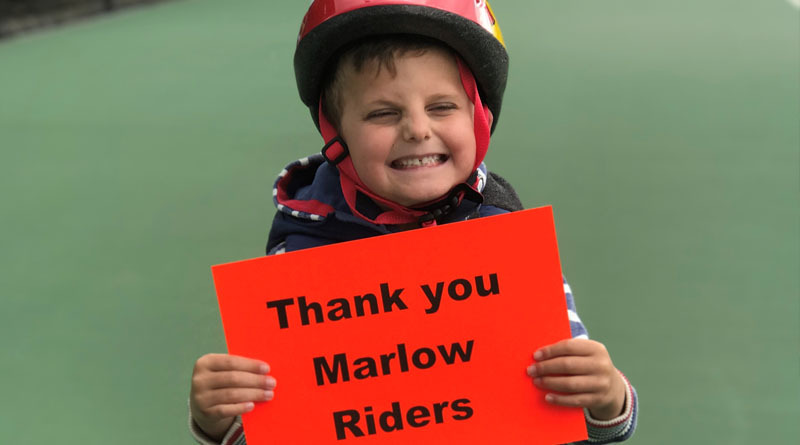 Matthew Wing, who accepted the cheque for Wheels for All commented; “On behalf of all the children and adults that benefit from the Wheels for All cycling facility at Bisham, I would like to say a heart felt thank you to Marlow Riders for your support. Our adapted cycles give people with a range of disabilities the chance to enjoy cycling. The AGM for Marlow Riders took place on 6 June at the Marlow Sports Club. Long time chairman Rod Woodland stood down, and is replaced by Chris Heath, who is also a founding member of the club, and has worked closely with Rod over the years. Rod said; “Over the last five years we have created a cycling club to be proud of based on the simple ethos of ‘Cycling for All’ which is in our DNA. With a flourishing membership of over 200 riders and 30%+ female members we are doing something right in encouraging anyone that wants to cycle!